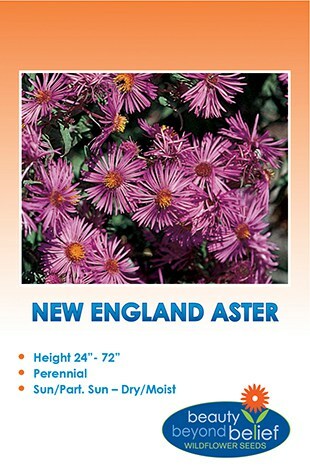 A native to the western United States, this species will produce bright daisy-like flowers in colors of violet, pink and white with gold centers and are excellent for cut flower arrangements. These flowers will grow in areas where there is partial sun or shade and in a variety of elevations and moisture conditions. This perennial wildflower typically will establish the first year and bloom the second. Take care not to cover the tiny seeds with more than 1/8″ of soil when planting. A native to the western United States, this species will produce bright daisy-like flowers in colors of violet, pink and white with gold centers and are excellent for cut flower arrangements. 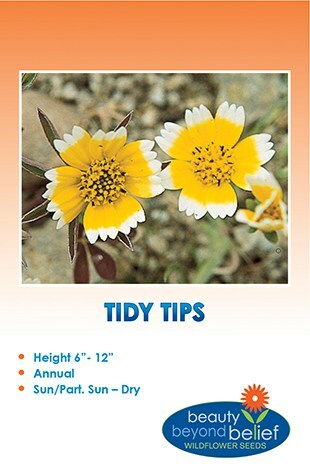 These flowers will grow in areas where there is partial sun or shade and in a variety of elevations and moisture conditions. 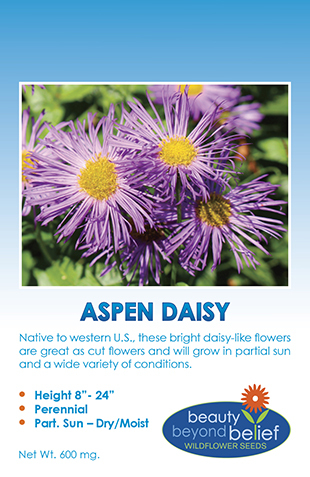 Aspen Daisy is a perennial wildflower that typically will establish the first year and bloom the second. Take care not to cover the tiny seeds with more than 1/8″ of soil when planting.